Are you interested in the exciting world of international travel? Our Airline Business Management program covers everything from the ground to 30,000 feet. The program will fully prepare you for the three principal areas of the aviation industry: service, technology, and ground management. You will meet and interact with industry experts and aviation companies, giving you a deeper insight into the actual business environment. You will have an internship with major domestic and international level airlines with on-the-job training, and hands-on experience. You will be treated just like full-time staff, under the guidance of a professional crew. You will be prepared and ready to work in all areas of the aviation industry. 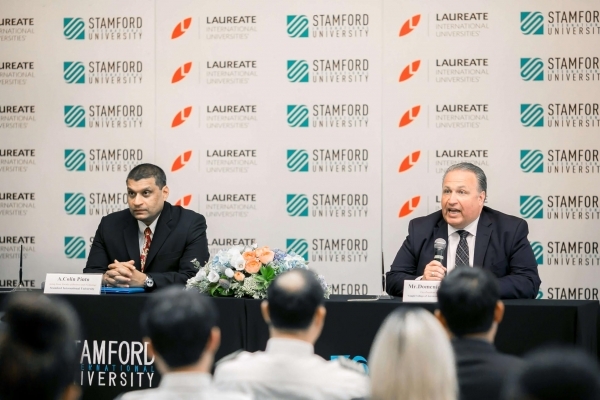 With the MOU between Stamford and the Light Aircraft Association Leisure Flying Club (LAAF), Stamford is the first university in Thailand where students can obtain their Ultra-Light Pilot License (UPL) after passing the test at an additional cost. This has a huge advantage for students who choose to study for a commercial pilot license in the future. The UPL license is approved by the Department of Civil Aviation in Thailand. Stamford has a collaboration with Vaughn College, New York – a private institution devoted exclusively to the field of aviation, management, engineering and technology. 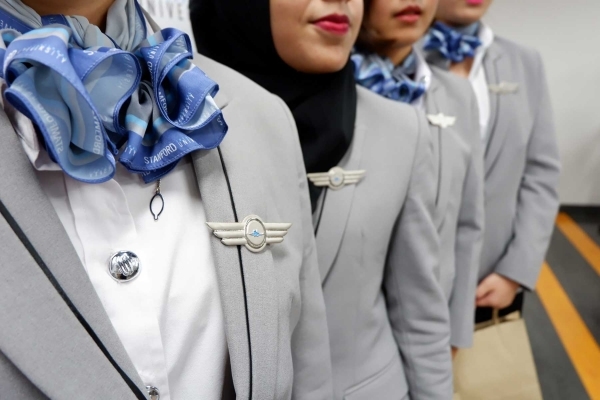 Airline Business Management graduates who meet the minimum GPA requirements can opt for the dual degree option to continue their study at Vaughn College. Students will study for an additional two semesters in New York and will receive another degree from Vaughn College. With the MOU between Stamford and the Light Aircraft Association Leisure Flying Club (LAAF), Stamford is the first university in Thailand where students can obtain their Ultra-Light Pilot License (UPL) after passing the test. This has a huge advantage for students who choose to study for a commercial pilot license in the future. The UPL license is approved by the Department of Civil Aviation in Thailand.